What Can Be Done to Patch Asphalt? 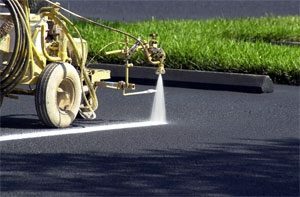 Asphalt patching is a solution for many people that manage parking lots, roads, tennis courts, and more. When you have potholes, cracks, and other trouble spots in your asphalt, it’s important that you call in a professional company for paving services. Asphalt patching is one method that helps prevent major (and expensive) repairs from happening. If you need asphalt patching, reach out a to a paving company to complete the job. There are many blends and mixes that are used for asphalt patching. A professional will inspect the damage to the asphalt and then determine the strongest and most durable blend for the job. The extent of deterioration and damage is going to be the primary factor in this decision. There are many patching techniques that are applied to filling potholes and gaps in playgrounds and basketball courts as well as roads and parking lots. When applying a patching technique, the hole is filled with the material, binding it to the current asphalt. Full-depth patching can be done to concrete and asphalt pavement. It doesn’t matter how thick the pavement surface area is, it is removed and patched. With deep patching, four inches or more are removed, and it is only applied to asphalt. However, both of these methods are completed to be permanent solutions. Thin surface patching is going to be temporary and will not go as deep as other techniques. There are many reasons that people want to keep their asphalt in good shape. Parking lots and roads are often the first impression people have your commercial property, and you want to make sure that you have excellent curb appeal. Plus, asphalt is a significant investment and when you don’t keep up with repairs and patching, the damage will only get worse and much more expensive. 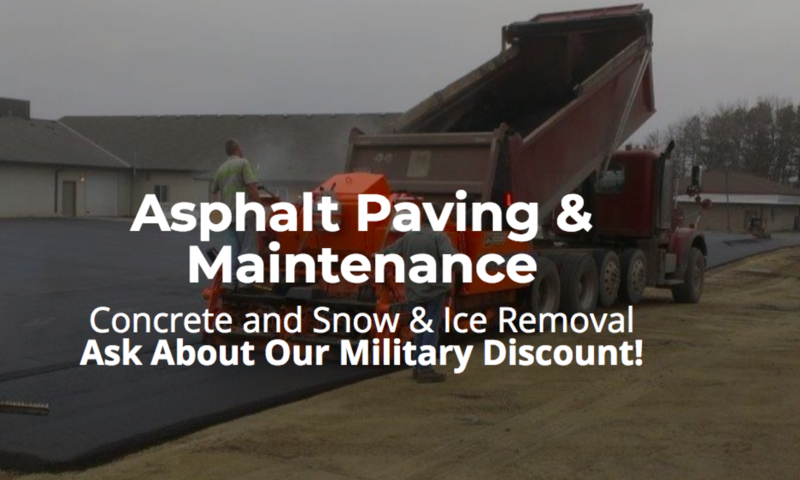 While asphalt patching is an investment, know that it does save you money. 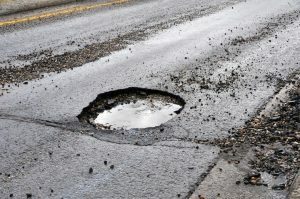 If you have a parking lot, road, or park with potholes in it and cars hit those, you may have to pay for the damage. On top of that, you don’t want anyone to fall and injure themselves from a crack or hole that is in the asphalt. When you keep up with the wear and tear, you can prevent a lot of time and money spent. Potholes are a common issue that roads and parking lots have. Due to the expansion and contraction of water that gets under the pavement through the ground, generally during the snow and rain seasons, the pavement weakens. When a vehicle drives over that weak spot, a pothole is created. The best way to combat this issue is to schedule a pothole repair. You should never ignore potholes because they can wreak havoc on a parking lot and road, as well as cause a range of other problems. If you have potholes that need to be repaired, here are just a few of the reasons to call paving contractors to get the job done right away. Potholes aren’t going to naturally fix themselves. When you let a pothole sit, it will only get worse and do more damage. Soon, instead of having a small pothole repaired by a commercial concrete paving company, you’ll have a much more expensive problem and have to fix a much larger area. Plus, if cars are damaged by the potholes, this cost may fall on you. 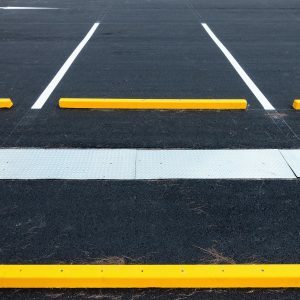 On top of saving money, you’ll also save time because a larger project such as replacing several yards of the parking lot is going to be a distraction for customers and employees. A small repair is quick and effective and should be done right away for best results. Your curb appeal makes the first impression on customers, and the parking lot is a big part of that. When customers see potholes and repairs that are needed, it can deter then from frequently visiting your location. A well-maintained parking lot is a welcoming sight, and you can enlist a commercial concrete paving company to ensure it stays attractive and in excellent condition. The safety of employees and customers should be a top priority. Keeping up with pothole repairs is the ideal way to keep your environment safe. While potholes can be dangerous for drivers to hit because of the jolt that your body is given and the unexpected shift it can cause the vehicle to make, it is also dangerous for people walking. It is easy to turn an ankle or fall when walking through a parking lot. Get paving contractors involved to help you avoid and repair potholes, so your parking lot doesn’t crumble, but it looks fantastic for years to come. When Is a Good Time to Seal a Crack in the Asphalt? One of the most crucial maintenance jobs when it comes to your asphalt is sealing cracks. When asphalt crack repair isn’t maintained, it can get expensive because the damaged area only gets worse. The crack sealing primarily prevents water from using the opening of the crack to reach the underlying pavement. When water reaches the underlying pavement structure, it can cause even more damage, and instead of being able to complete a minor asphalt repair, you’ll need a major one. Check to see if the asphalt is in fair to good condition on the road or parking lot because that is going to be the best time to do crack sealing. Keeping the water out of the pavement is one of the best ways to keep it in good condition, and crack sealing does that. It delays or altogether stops many of the distresses that can occur. Cracks come in many sizes, and they occur due to a variety of factors. 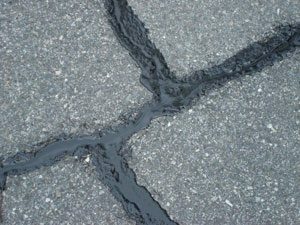 Weather, traffic, and other wear and tear actions that are taken on the road and parking lots all contribute to cracks. There are hairline cracks that are an eighth of an inch or less, and a fluid seal is used because the cracks are so tiny. Then, there are small, medium, and large cracks that can occur. When these are filled, the season will be a contributing factor because cracks open and close based on the temperature. The ideal time to seal a crack is in the spring or fall when it is halfway open. In the summer it will be at its smallest opening because the pavement swells, and in the winter, it will be the reverse. By timing the crack sealing right, you can reduce the chance of the seal coming up when cars go over it. Most cracks need to be sealed, and it is important that you go with professionals for the asphalt services. They have the proper equipment and training to identify and seal each crack. Make sure you get asphalt crack repair at the first signs of trouble to prevent water from getting under the pavement can causing more damage to the parking lot or road.